Republished from the Missoulian | Originally Posted: By KIM BRIGGEMAN of the Missoulian on Wednesday, December 2, 2009 It’s been 30 years since a student group at the University of Montana donated money raised by the annual Aber Day Benefit Kegger to the UM library. Now it’s happening again. In a brief ceremony Thursday at 9 a.m. at the Maureen and Mike Mansfield Library on campus, the folks behind the making of a recent documentary of the 1970s Missoula phenomenon will present a $2,000 check to Bonnie Allen, dean of the library. “We’ll give more in the future. We just have to see what happens,” said Bob McCue, executive director of the film. Allen will use the opportunity to present a plaque from the university that acknowledges the work of the students who put on the benefit keggers from 1972 to 1979. It was initially presented at the October screening, and will hang in the library. Republished from the Missoulian |Originally Posted: Wednesday, October 21, 2009 7:50 am The Mansfield Library at the University of Montana had good reason to take note of the recent documentary screening and other events to celebrate – or for some, commemorate – the 30-year anniversary of the last Aber Day Kegger. 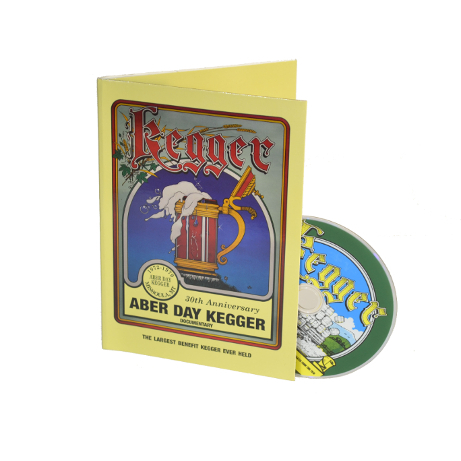 Just as some of the proceeds of bygone Aber Day Keggers went to benefit the library, so too will sales of the documentary help raise money for university programs. But unlike in years past, this time the library will be giving something back: its official thanks. Are you looking for a copy of the Kegger Documentary to enjoy at home? Well you are in luck! There are several ways to purchase a copy. Visit our Store for the easiest! Kegger to Premiere on Montana PBS March 15! Kegger will be part of PBS Montana's fundraising drive and will be shown at 7pm on Montana PBS statewide. Copies of Kegger and Kegger Mugs will be made available as gifts in exchange for PBS donations. Remember: Donating to Montana PBS keeps local programming like Kegger free and available to you year-round! Recently, KECI did a story on the Kegger Documentary! You can view the video here. You can also watch the new preview on YouTube.